Explore a selection of limited production wines, paired with charcuterie and specialty cheeses, during a seated, 90-minute private tasting. 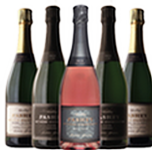 Our sparkling tasting is a festive way to taste through the first two vintages of our sparkling wines. Compare vintages in our Ribbon Ridge Blanc de Blancs and Estates Cuvée and taste the inaugural offering of our Brut Rosé. 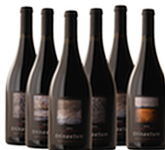 A selection of Pinot Noir will finish your tasting. Our Dry Riesling tasting will focus on comparing our current release Single Vineyard Dry Rieslings against some of their older counterparts from previous years. Experience the difference that vintage can make. 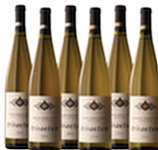 Same as the Dry Tasting, but with our Medium Dry selections. 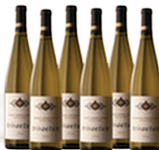 This tasting will compare our Dry and Medium Dry Rieslings from our three estate vineyard sites. 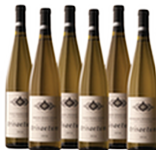 Explore the impacts of site-specific soil types and climate on our six offerings of Single Vineyard Rieslings. This tasting will explore the unique differences in the soil types and climates of our three estate vineyards and how those elements are expressed in our wines. Focusing mainly on our single vineyard Pinot Noirs, we may add in single vineyard bottlings of bubbles, Chardonnay, or Riesling to enhance the experience of how site and climate can have an impact across varietals. Our Artist Series wines are arguably our most specific bottlings - showcasing single clones of Pinot Noir harvested from single blocks from our estate vineyards. Compare the differences between clonal selections and location. 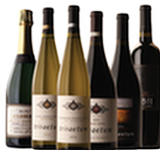 Try six wines from across our portfolio of brands. 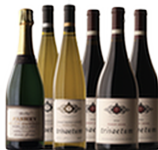 Start with a taste of Pashey Sparkling, followed by a selection of Trisaetum Rieslings & Pinot Noirs, and finish with one of the Bordeaux-Style wines from 18401 Cellars. This tasting will focus on six Pinot Noirs. Spanning the spectrum from our Willamette Valley to our Family Reserve, experience the differences of single vineyard vs. single clone vs. blends created from all three of our vineyard sites. We can comfortably accommodate Private Tasting groups of 2-8. Private Tastings require 48 hours advance notice. Cancellations require 24 hours advance notice.